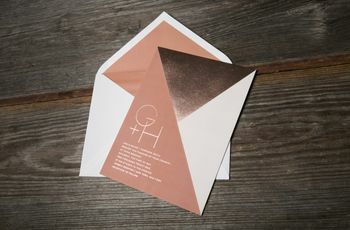 A wedding invitation typo can cause some pretty significant problems on your big day. Here are some common typos to look out for. The big cardboard package arrived at our doorstep in the middle of the day. We ran to the door, hardly able to contain our excitement. Our invitations were finally here! After weeks upon weeks of going back and forth about the design (with the very patient designers at Paper Culture), we were finally ready to see our creation in person instead of just via digital proofs. We ripped open the box – when I say ripped, I mean it only in spirit as we were very careful not to damage anything – and the smile on my face grew wider and wider as we saw how amazing everything came out. Then I saw it. The wedding invitation typo. My wife's aunt's last name was spelled wrong on our brunch invitation. And I was the one that spelled it that way. Yikes. There's nothing like realizing you ordered 150 of something and all 150 of that something will need to be replaced. Wedding invitation typos happen. That's a fact of life. If you're like me and decided to design the whole thing yourself through an online company, you'll be asked to approve the invitations before they get printed. That means any mistakes are your fault. If you went the more traditional route with a calligrapher or stationer, there's a chance it's not your fault. Doesn't matter. If there's a mistake, it'll need to get printed and that probably means saying goodbye to extra cash. Luckily for us, Paper Culture was so accommodating that they reprinted the brunch invites free of charge. We were so thankful. That said, typos happen to the best of us, but you should do everything in your power to make sure they don't. 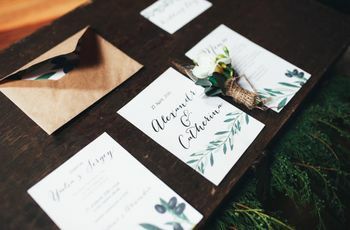 Keep an eye out for these common wedding invitation typos so your heart doesn't sink as soon as you catch that big mistake. 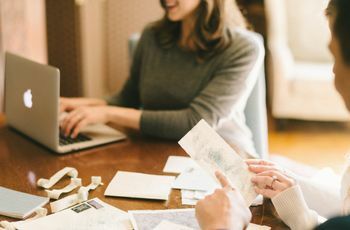 Even if you spent 100 hours designing your wedding website with perfectly accurate information, a good chunk of your guests are still going to rely solely on the invitation they got in the mail. That's why it's so important to check the times of your events before it gets printed. It's not that hard to write 12 when you meant to say 11. Think of the ramifications of a time typo. You've scheduled all your vendors, the venue, and every last detail of your schedule to accommodate a certain start time. Sending out the wrong time on your invitation could sabotage the whole thing. Check the times again and again and make sure you have the right ones listed. Trust me on this one. A close cousin of the Crucial Time Typo, the Address Typo rears its ugly head when your guests wind up at a Taco Bell two miles away from your wedding venue because you wrote 220 Clark Ave. instead of 2220. 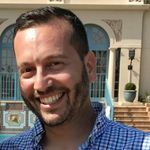 While Waze and Google Maps may help your guests get to the address printed on your invitation, it means nothing if the address is the wrong one. Check every street number. Check every street name. You went to all the trouble of throwing a wedding, so it's worth it to make sure your guests know where it actually is. This was my big mistake. I failed to double-check the spelling of my wife's aunt's last name (one of the hosts of the post-wedding brunch) and wound up having to get 150 invites reprinted. Names are the hardest wedding invitation typos to catch because they're not going to be flagged by spellcheck. The best rule of thumb here is to proofread every name with your significant other. With your forces combined, the Jonathans will be sorted from the Jonathons and you'll be able to sleep at night. There's a famous Curb Your Enthusiasm episode where Larry's in charge of the obituary for his aunt and a typo changes “beloved aunt” to something much more vulgar. That's definitely the kind of mistake you want to avoid. For us grammar-obsessed folks (what's up, semi-colon nerds! ), it's mortifying to imagine any typo at all on our invitations. When I was alerted to the aforementioned misspelling on our brunch invites, I wanted to crawl into a hole and let bugs turn me into lunch. 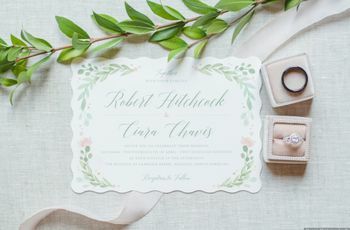 While a wedding invitation typo isn't going to impact your event in any significant way, it's important to remember that the invitations are one of the few tangible memories of your special day. 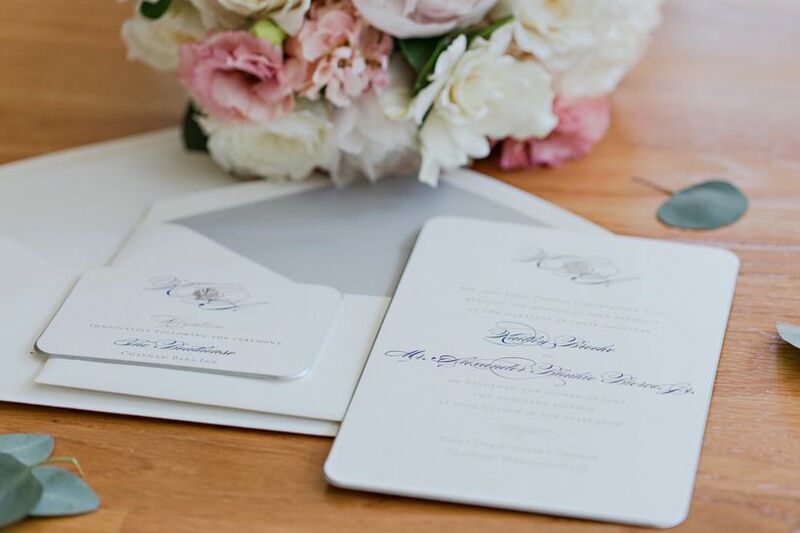 Take the time to proofread (and again and again) and you won't have to explain to your future grandchildren about the time you spelled Great-Grandma's name wrong on your wedding invitation.